When I arrived Antithesis had already started, even though I had apparently been expected to play first. I felt like a jerk for being late. 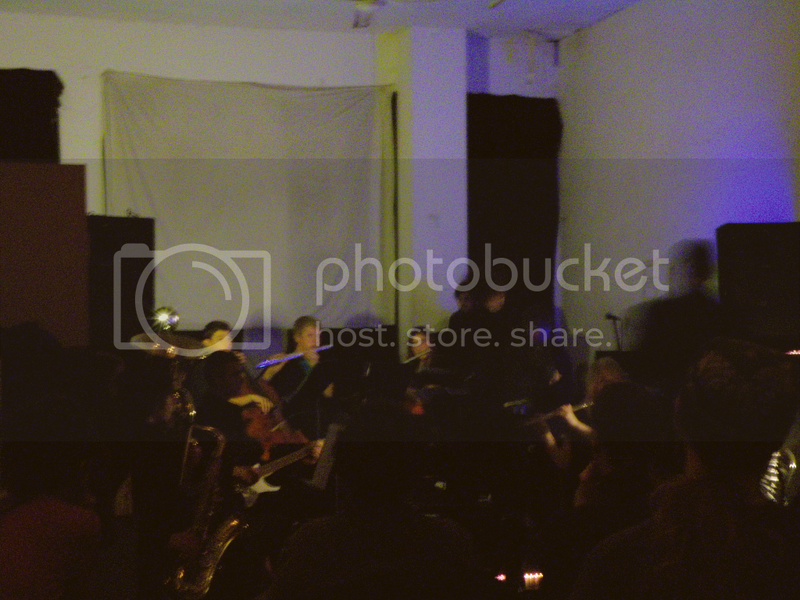 Antithesis was a large group with lots of brass instruments; they played a sort of experimental, avante-garde jazz. It was dissonant and piercing, strange sliding sounds and bells filling the air. Most of their songs were pretty eerie and one was fairly traditional sounding. At the end they had a strange backing track of an auctioneer and a guy ran around with luggage and electronics like it was being auctioned off. I think the person who played the note when the auction track ended got the item. Even though the last song was kind of weird and gimmicky, it was fine and Antithesis' set was good. The fact the they had a conductor and that the audience was composed of parents was discomforting, but everyone was enthusiastic and stayed for Corsano and myself. I played next, trying to hurry onto the stage and feeling like I was forgetting a lot of stuff. When everything got plugged in I played some low notes with feedback in the distance. It sounded very symphonic and maybe even melodic. I got loud and noisier at the end, but the whole time from the start Manny had turned me down to not disappoint the parents. I was pretty annoyed about it at the time, but it sounds fine to listen to now so I guess that it doesn't really matter. It was a pretty good set. 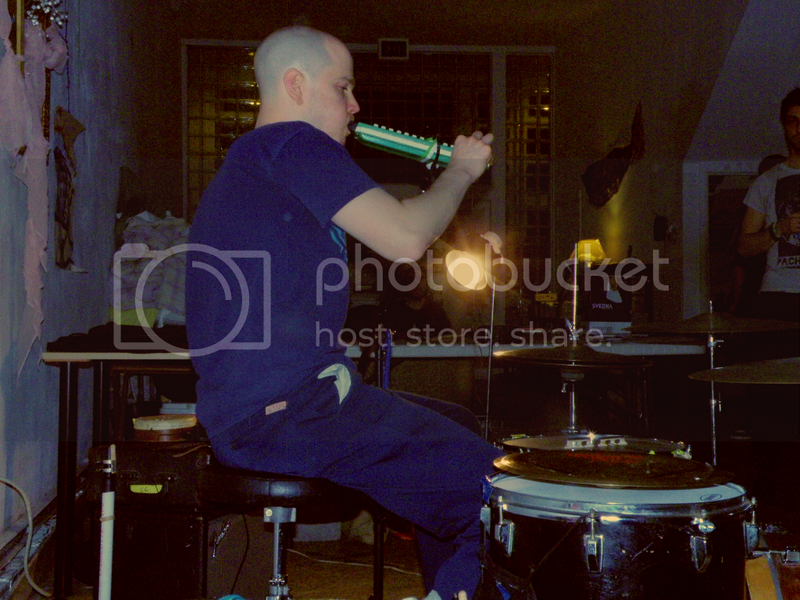 Chris Corsano was next; he set up next to a wall on the floor with a ton of weird gadgets to toy with. 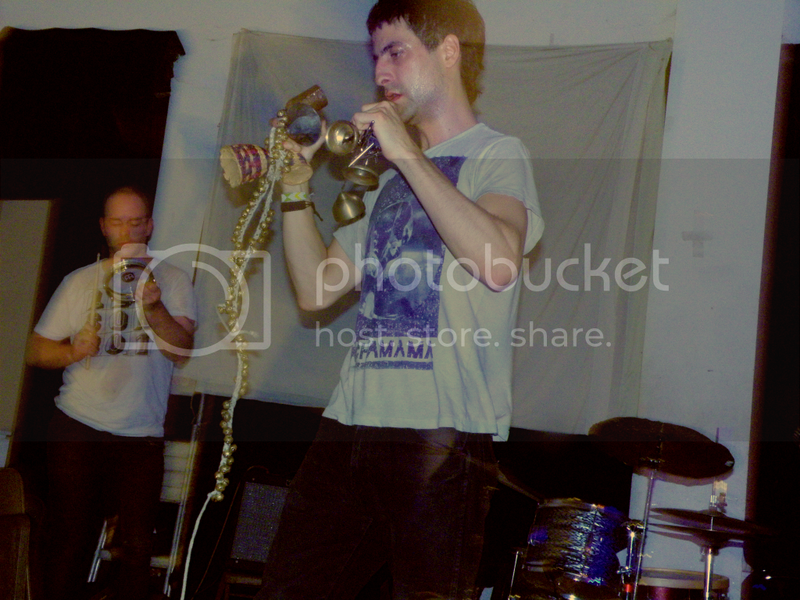 He started by bowing a cymbal and then played a strange mouth organ(?). 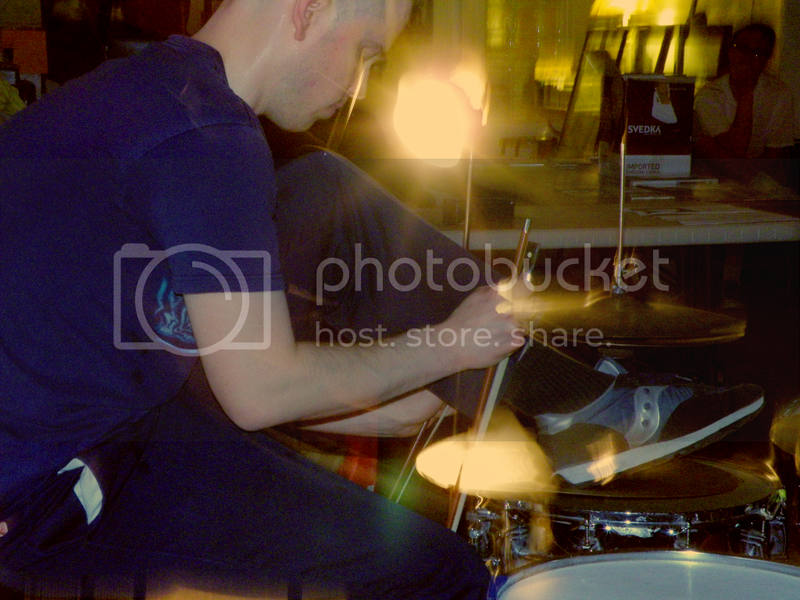 While doing so he started to play his drumkit with focus, power, and speed. He played a triangle with his mouth and later a huge flute. 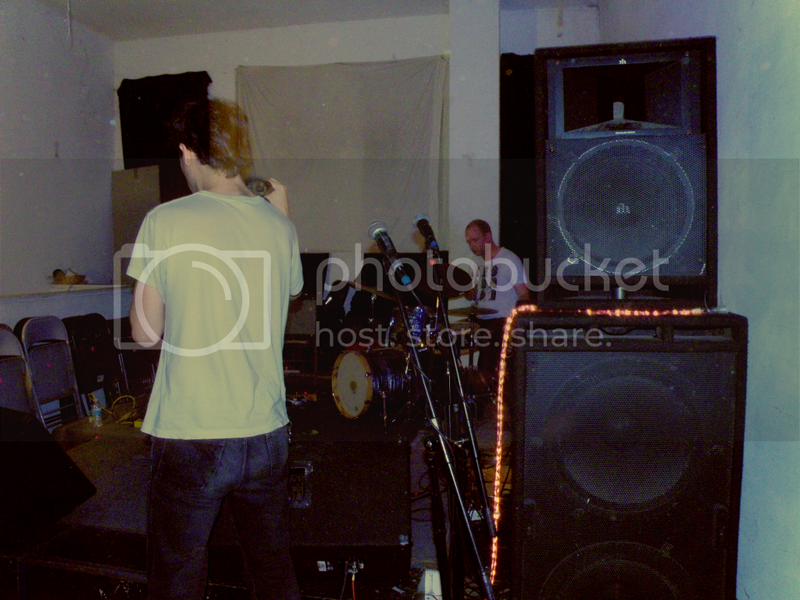 At the end there were gongs and a small amp that made lots of noise from a contact microphone. 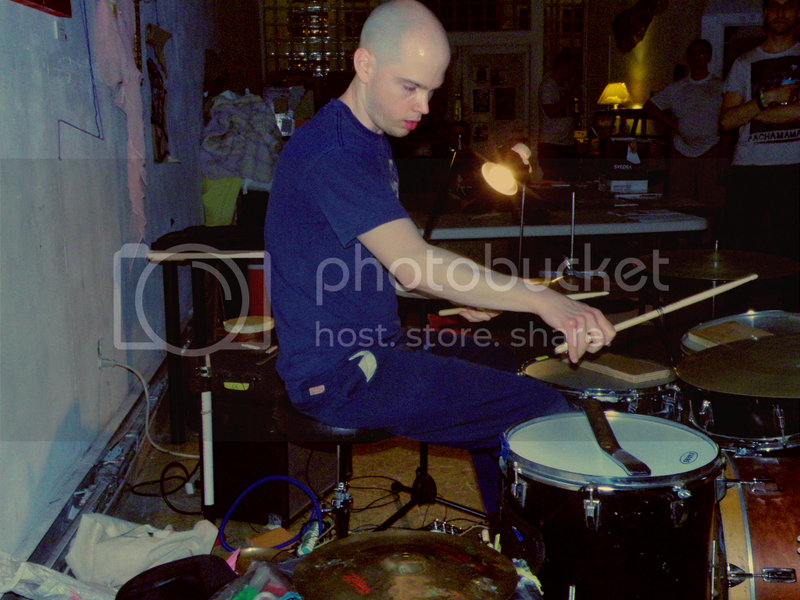 Corsano was as good, if not better, than the past two times I had seen him at No Fun Fest in 2009 and at Garfield Artworks with psych-rockers Rang-Da. Everybody left, but Not the Wind Not the Flag was still setting up. They also had a lot of stuff, mostly weird percussion instruments that one guy played as he also blew into a recorder while the other played drums. They built up a lot of the non-drum sounds as loops into a mysterious, aboriginal soundscape full of chanting, ringing, and clanging along with a continually building drone in the background. In the middle of their set Not the Wind Not the Flag slowed down their huge momentum with echoing gongs as the drummer set up a guitar. He played dissonant notes while the percussionist took to the drums and they went on for a while before slowing down and manually fading out. It was really great, but by the end there were maybe three people left.